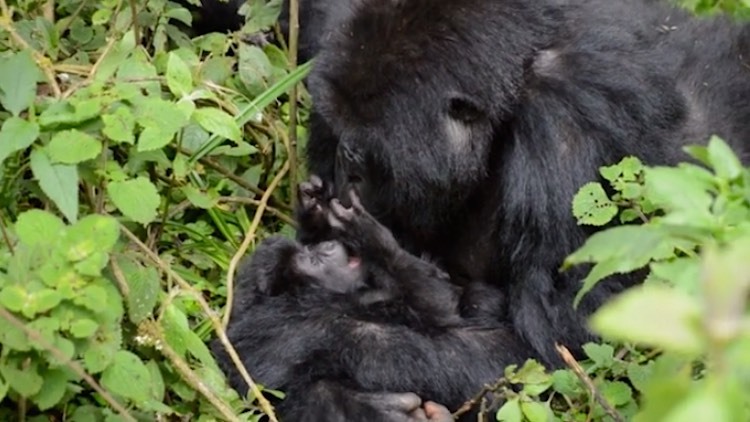 Just in time for Mother’s Day, the Dian Fossey Gorilla Fund announced the birth of an endangered mountain gorilla in the Virunga Mountains of Rwanda. There are less than 900 of these primates in existence worldwide, so each birth is a precious gift. The video below shows the new baby and describes how gorillas make great mothers: They sleep with their babies every night for four years and nurse the infants during their first three years of life. They also carry their offspring everywhere for the first eight months.